It's quite nice when business takes you to a tropical paradise. 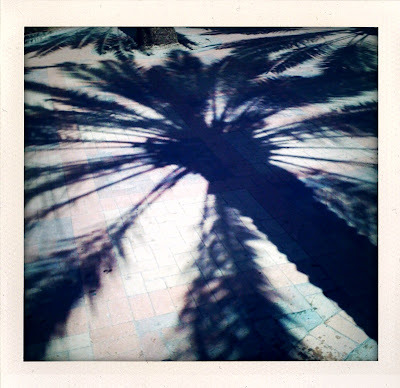 I'm just back from 24 hours in Miami. 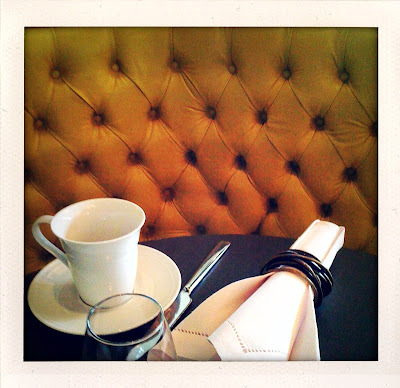 While most of the time was spent inside the convention center, I got up early to breakfast at the The Viceroy (just around the corner from my hotel) and then popped to The Delano on Collins Ave. and the beach for about 20 minutes on the way to the airport. 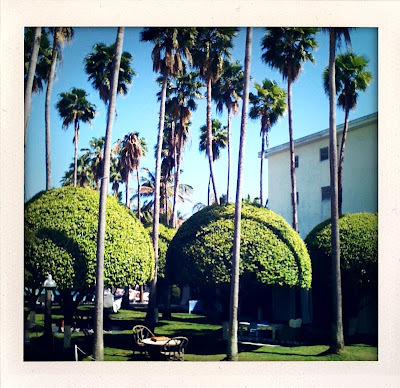 (Above: the beach behind the Delano). 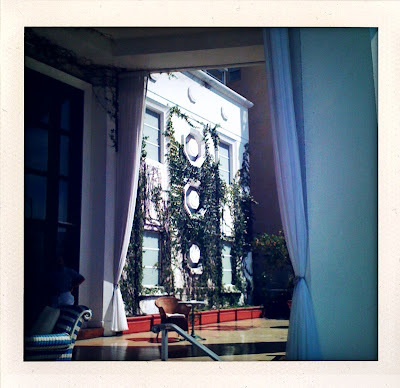 The Delano's back garden leading to the pool. 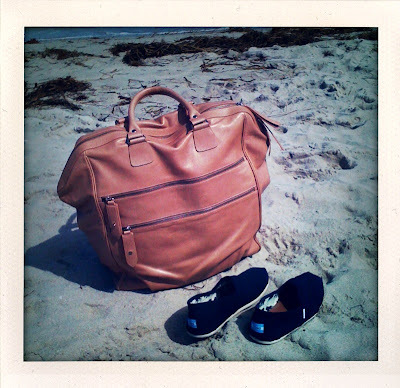 My Dries van Noten carry-on and Tom's. 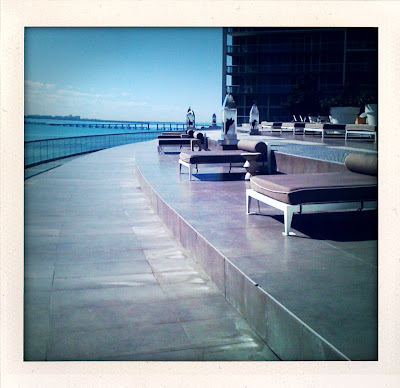 The view from the Viceroy pool. also, thanks for taking the time to produce your blog. i check it often. love it. living in belgium at the moment and get home sick for the city life. That tile "rug" is the best thing I've seen in a long time. Makes me want to start pulling up bricks right now. 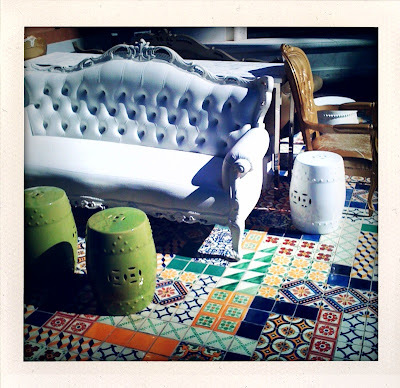 Those photos from the Viceroy look superb! Great photos. What type of camera are you shooting with? woah. 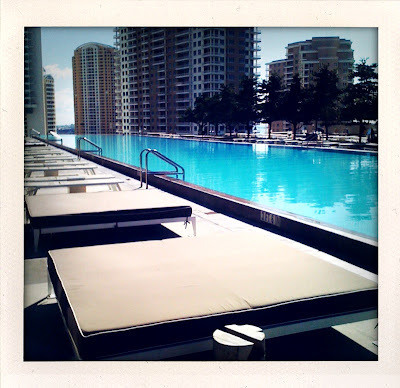 your pics are out of control LOVE them and love miami you lucky dog! so glad i found your blog. i think i am in love. what fun! 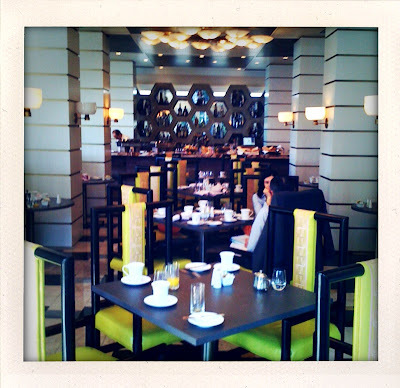 i LOVE the delano, it feels like you're in alice and wonderland. Nice pics. I visited the Delano in 03 for the Music Conference. Is that why you were there? Overriding memories for me were eating Lobster sandwiches in one of the tents around the pool, and combing the record shops on Washington Avenue. Along with sweltering heat and permanent jetlag. Graham - your business trip sounds a whole lot different than mine! I went for the American Academy of Dermatology's annual meeting. Did pick up some excellent exfoliating cream, though! 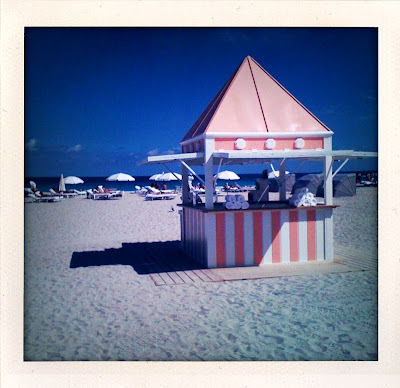 South Beach would be a lot better if it wasn't for all of the douchey people down there. looks like you had a splendid time. Wonderful photos... wow! You put me there... thank you! These photos are too cool for school. Relatedly- I love to exfoliate. 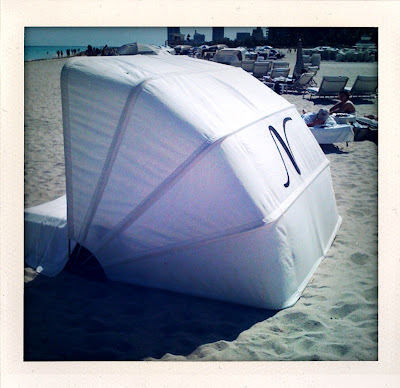 Hope it was warmer for you in Miami than it was for us last week when we were there. Had to wear coats on the beach! Don't mind doing this in New England, but in FL it just seems wrong!